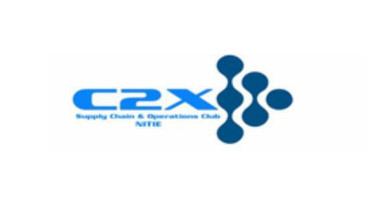 C2X, Chain to Excellence, is Supply Chain Operations Club of NITIE. We are responsible for designing, planning and conducting events related to Supply Chain and Operations Domain. With the belief that “Knowledge is Power, and it grows by sharing”, C2X complements academia by keeping the students informed with the latest trends in Supply Chain Management and Operations by organizing lectures, workshops, quiz, simulation games and case study events like “Tactix” and “Strategem”. The Group puts continuous efforts to explore the horizons of Operations/SCM and share them with everyone. Induction Sessions: During “Abhisanskaran” Orientaion period of the new batch, sessions are conducted on Supply chain Management so that the new batch may have an idea of Supply Chain Management domain. Schedule: This event is held in month of June every year. KPMG Green Belt Six Sigma: KPMG Campus representatives negotiate, coordinate and organize Green and Black Belt Six Sigma courses for the students. They get certificates of completion of Green Belt Black belt from KPMG. Schedule: This certification course is held in month of August every year. Strategem:The flagship event of NITIE has a National Supply Chain quiz in its first round followed by a corporate case study. The final round of this is a realistic simulation game held in NITIE Campus where participants all over India come to NITIE Campus for claiming the exorbitant cash prizes and extremely valuable certificates of ISCEA. 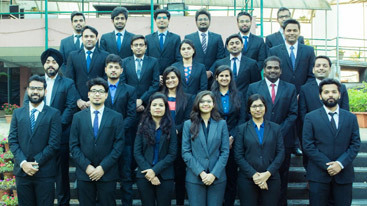 Tactix:Tactix is the chief Supply Chain and Operations case study contest rolled out by NITIE every year as a national contest. The final round of this is a virtual simulation that is played on- campus. This is another very esteemed event of C2X and NITIE which has a huge financial award and 2 certifications of the prestigious ISCEA courses. Big Quiz: This event is a Supply Chain Operations Management based Quiz that tests the knowledge of the students about the current happenings in the SCM arena as well as their fundamentals. ScheduleThis event is held in the month of January every year. The Game: It is a virtual offline simulation game. The event was designed to keep in mind the immense learning while experiencing the important supply chain concept in real time. The Game was a section-wise contest, meaning each section had a team of 4 representing their respective sections. OPUS: The Supply Chain and Operations annual magazine of NITIE is one of the most influential Supply Chain magazines in the country. The articles here are edited, compiled and collaborated by the team. ScheduleThe magazine is published in month of January every year. PPO Diaries: PPO Diaries is a series of videos of people who have made a mark at their Summer Internships and landed into the Pre-Placement offer of their respective firms. It talks about their projects, the journey and the challenges in the path of glory.